The Society’s Annual Conference is the only educational forum of its kind in the field of post-acute and long-term care (PA/LTC). It is filled with opportunities to enhance your knowledge and competencies in providing quality PA/LTC. Attendees are exposed to the latest clinical development in geriatric medicine, best practices in medical direction, policy/regulatory updates, as well as practical tools to help implement new ideas in your practice setting. 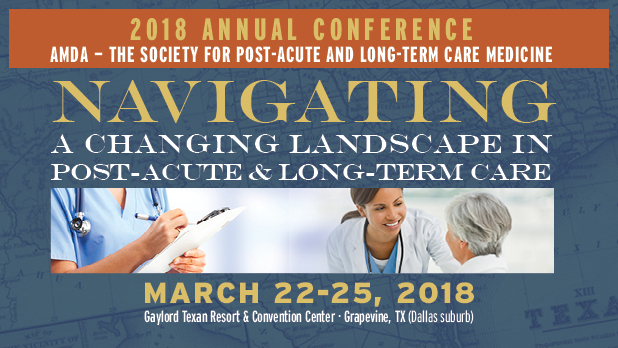 Registration for the 2018 Annual Conference is now open!